Now, researchers are eager to apply this computational technique—commonly referred to as deep learning—to some of science's most persistent mysteries. But because scientific data often looks much different from the data used for animal photos and speech, developing the right artificial neural network can feel like an impossible guessing game for nonexperts. To expand the benefits of deep learning for science, researchers need new tools to build high-performing neural networks that don't require specialized knowledge. Using the Titan supercomputer, a research team led by Robert Patton of the US Department of Energy's(DOE's) Oak Ridge National Laboratory (ORNL) has developed an evolutionary algorithm capable of generating custom neural networks that match or exceed the performance of handcrafted artificial intelligence systems. Better yet, by leveraging the GPU computing power of the Cray XK7 Titan—the leadership-class machine managed by the Oak Ridge Leadership Computing Facility, a DOE Office of Science User Facility at ORNL—these auto-generated networks can be produced quickly, in a matter of hours as opposed to the months needed using conventional methods. Today's neural networks can consist of thousands or millions of simple computational units—the "neurons"—arranged in stacked layers, like the rows of figures spaced across a foosball table. During one common form of training, a network is assigned a task (e.g., to find photos with cats) and fed a set of labeled data (e.g., photos of cats and photos without cats). As the network pushes the data through each successive layer, it makes correlations between visual patterns and predefined labels, assigning values to specific features (e.g., whiskers and paws). These values contribute to the weights that define the network's model parameters. During training, the weights are continually adjusted until the final output matches the targeted goal. Once the network learns to perform from training data, it can then be tested against unlabeled data. One science domain in which MENNDL is already proving its value is neutrino physics. Neutrinos, ghost-like particles that pass through your body at a rate of trillions per second, could play a major role in explaining the formation of the early universe and the nature of matter—if only scientists knew more about them. Teaming up with Patton's team under a 2016 Director's Discretionary application on Titan, Fermilab researchers produced a competitive classification network in support of a neutrino scattering experiment called MINERvA (Main Injector Experiment for v-A). The task, known as vertex reconstruction, required a network to analyze images and precisely identify the location where neutrinos interact with the detector—a challenge for events that produce many particles. In only 24 hours, MENNDL produced optimized networks that outperformed handcrafted networks—an achievement that would have taken months for Fermilab researchers. To identify the high-performing network, MENNDL evaluated approximately 500,000 neural networks. The training data consisted of 800,000 images of neutrino events, steadily processed on 18,000 of Titan's nodes. With the OLCF's next leadership-class system, Summit, set to come online in 2018, deep learning researchers expect to take this blossoming technology even further. Summit builds on the GPU revolution pioneered by Titan and is expected to deliver more than five times the performance of its predecessor. The IBM system will contain more than 27,000 of Nvidia's newest Volta GPUs in addition to more than 9,000 IBM Power9 CPUs. 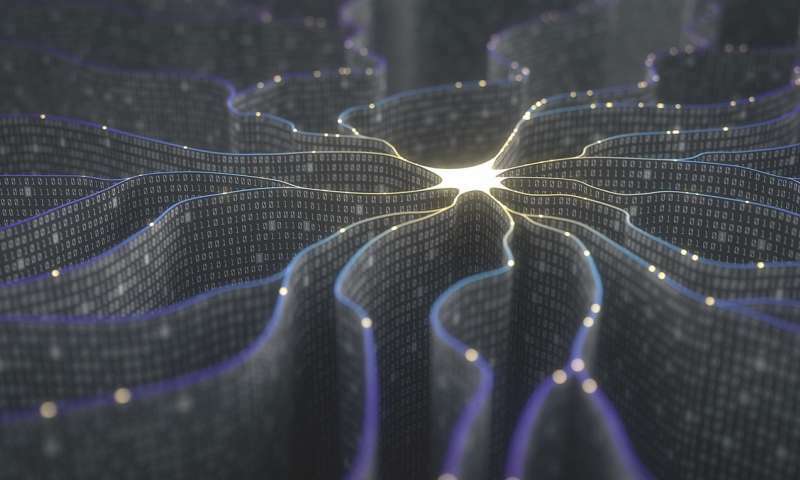 Furthermore, because deep learning requires less mathematical precision than other types of scientific computing, Summit could potentially deliver exascale-level performance for deep learning problems—the equivalent of a billion billion calculations per second.